I love food and it is true that some organic food manages to taste better than normal foods. Did you know that Aldi actually stock a few organic and special foods? I actually didn't but I was recently sent vouchers so that I could try out their range and come up with a yummy dish in the process. 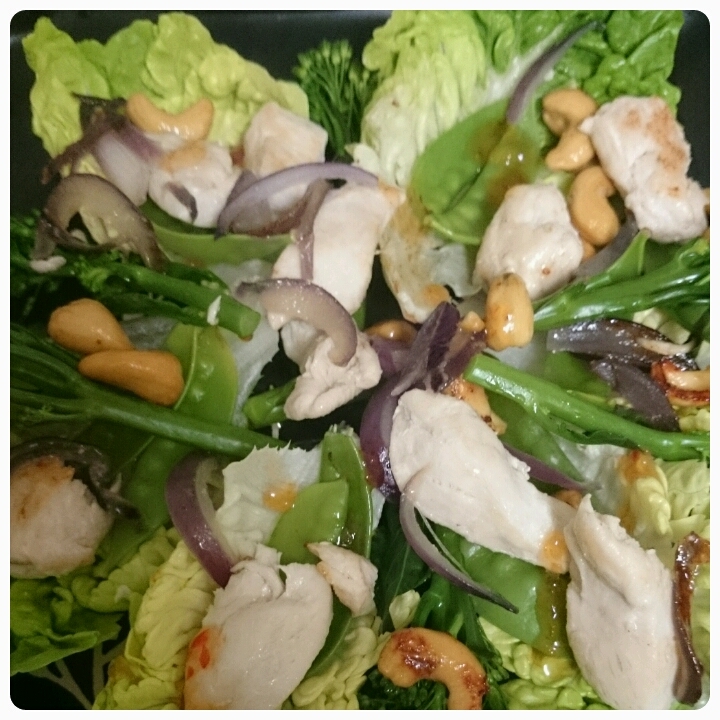 Below is my recipe for a warm chicken salad. 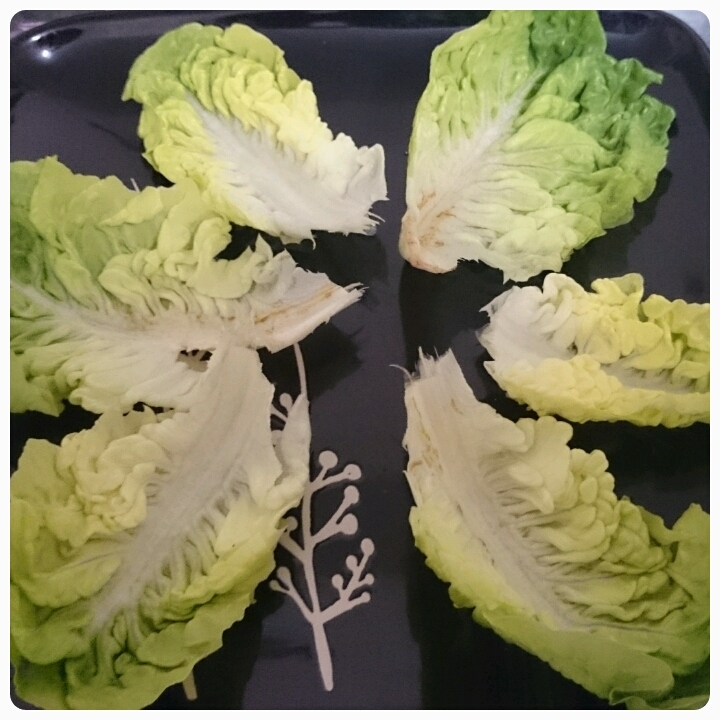 * On plates spread out your lettuce leaves in a circular pattern. * In a frying pan cook the chicken. 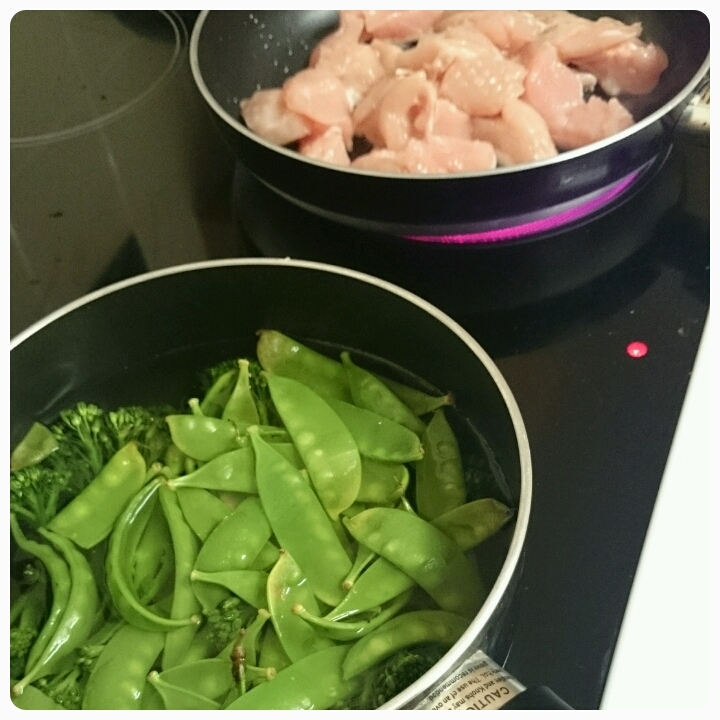 * Whilst the chicken is cooking, steam your broccoli and mange tout in a pan. 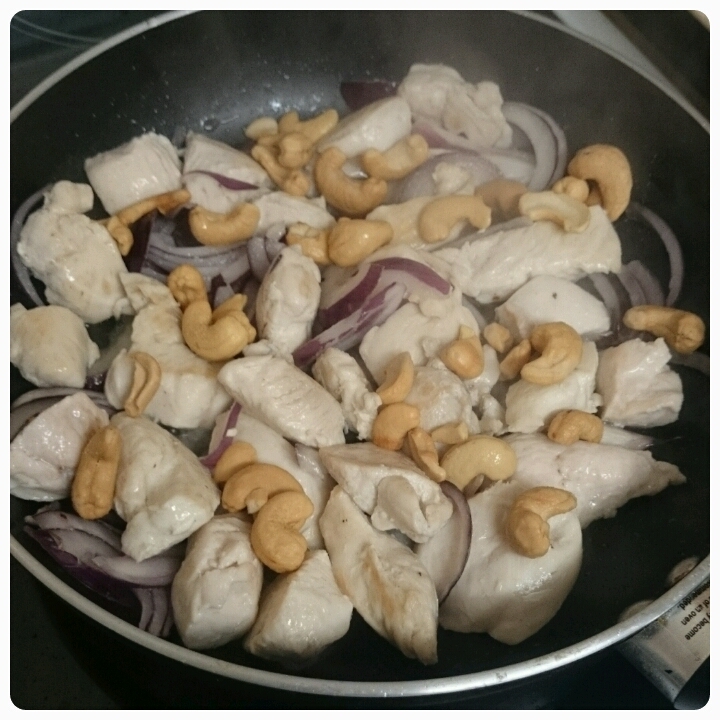 * When the chicken is browned and almost cooked add in the red onion and cashew nuts. Stir and cook for a further 2-3 minutes. 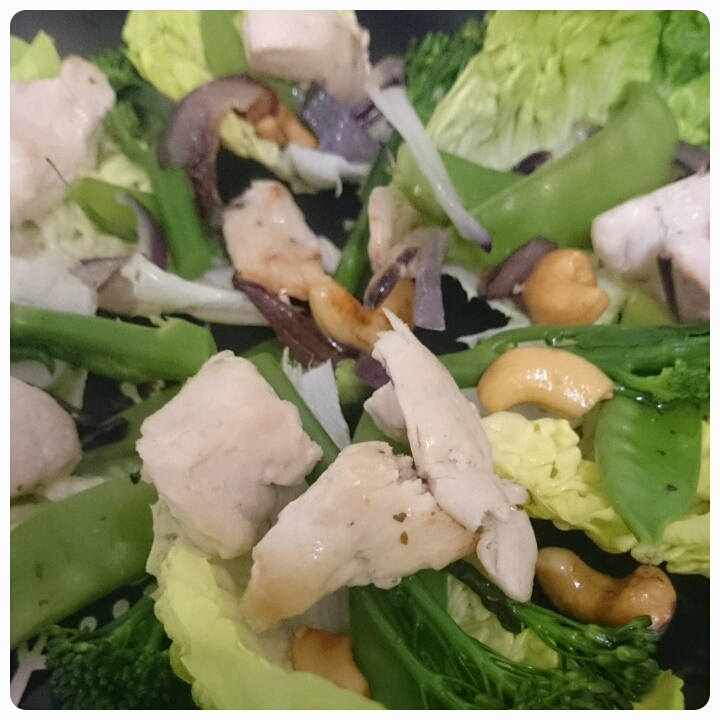 * Spoon the chicken mixture and vegetables over the lettuce leaves and finish off with your sauce of preference. I opted for a sweet chilli sauce whilst my mum decided on a light herb sauce. The good thing with this recipe is that it can be adapted easily with different vegetables and meats and being warm means it is perfect for the colder months. 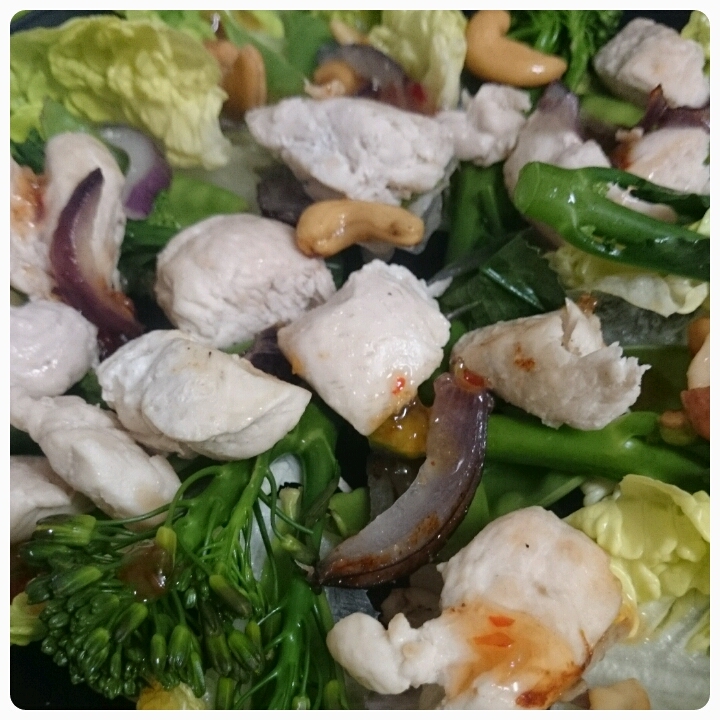 You can take a look at more recipes over on Aldi's pinterest board. Disclaimer : I was sent vouchers to enable me to buy ingredients for this recipe however all thoughts and opinions are my own. Wonderful salad. My husband would loooooove it! !